Emily Dubner’s love of baking took an entrepreneurial turn after she graduated from college and started working as a management consultant in New York. She combined her baking skills, fundraising savvy and business acumen to launch Baking for Good, which donates 15% of their proceeds to a great cause. You can choose from a list of charities that include both domestic and international organizations addressing causes such as animal welfare, hunger, education, and disaster relief. It’s like an old-fashioned bake sale, but on a bigger, professional scale. And the taste? Emily’s brownies are can’t-stop-daydreaming-about-them delicious. The toughest part is choosing which flavors to buy. 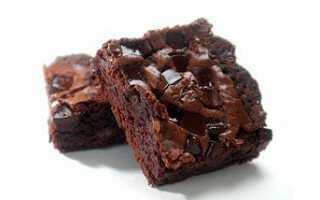 The fudgy best-selling Chocolate Chip Brownies? Espresso-infused Mocha Fudge Brownies? Or maybe the buttery sweet Cinnamon Blondies are calling your name? Emily’s cookies are irresistible, too: classic Oatmeal Raisin Cookies; chewy Gingersnaps packed with three kinds of ginger; Peanut Butter Cookies, dotted with chocolate chips; Vegan Granola Cookies with chocolate, oats, dried fruit, and nuts; and Gluten-Free Chocolate Cookies, made with coconut flour and loaded with coconut, pecans and chocolate chunks. Besides being delicious, Emily’s treats are made with care. She uses organic, local, and seasonal ingredients, and every purchase is baked to order and wrapped in eco-friendly packaging. If you’re looking for an excuse to indulge in a tasty treat, Baking for Good is a sweet no-brainer. Hello! 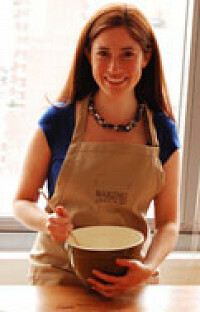 I'm Emily Dubner, founder of Baking for Good. I'm thrilled to be able to introduce you to our company today. I started Baking for Good as a way to create a personal, thoughtful, and delicious alternative to sending flowers. I hope that whether you try our cookies and brownies yourself or send them as gifts to friends and family, you'll feel good about the purchase you're making and the organization it supports. I'm looking forward to chatting with you about Baking for Good today and hearing your questions and ideas! My screen says "Free Shipping Today*", but I can't find the asterisk and when I try to order, I'm asked to pay a shipping charge. What am I missing? @Stacey Drucker: Thank you for letting us know. It should be fixed now. Ordering today's Grommet is a slightly different process than normal. Once you select the item you would like to purchase, a pop-up will appear. In the drop-down you will choose the charity you would like to support. For more information about these charities, you can follow this link: http://bakingforgood.com/causes/nonprofit. I love this 'in lieu of flowers' alternative! This is a wonderful idea...kind of a virtual bake sale! What is included in assortment? How long does it take to ship to New York and can they be frozen? @Claudia: Hi Claudia! The assortment includes chocolate chip brownies, mocha fudge brownies, gingersnaps, and oatmeal raisin cookies. There are about 38 items total. We're based in New York City, so shipping time to almost anywhere in the state is just one day. Our treats freeze really well. We recommend wrapping them individually or in small groups in cellophane and then tin foil and putting them all in a freezer bag. Then you can take them out as you want them and let them defrost, or you can warm them up in the microwave. Hope that helps! I am a baker by trade I have been retired due to an accident that I had when I was young. However I still bake and would like to donate a recipe for you to enjoy. 2) Combine first seven ingrediants until well blended. 3) Sift together dry ingrediants. 4) Add to wet ingrediants mixing well. I hope that this recipe will be a supplement to your reportoire and suffice as my donation. @Robert Austin Strobel: Thanks so much! I can't wait to try these. Chocolate and mint is one of my favorite flavor combinations. These baked good are delicious! I received the package the day after I ordered it. They are fresh and have a truly homemade taste and texture. Thanks! @Claudia: Thank you for stopping back to let us know and for supporting such a worthy company to begin with. We are thrilled that you love them! @Sherry : We are glad that you found Baking for Good here as well! 15% of the revenue goes directly to the charity that you choose when ordering. Enjoy and please stop back to let us know how it goes! What a 'sweet' gift idea! Emily Dubner’s love of baking took an entrepreneurial turn after she graduated from college and started working as a management consultant in New York. She combined her baking skills, fundraising savvy and business acumen to launch Baking for Good, which donates 15% of their proceeds to a great cause. You can choose from a list of charities that include both domestic and international organizations addressing causes such as animal welfare, hunger, education, and disaster relief. It’s like an old-fashioned bake sale, but on a bigger, professional scale. And the taste? Emily’s brownies are can’t-stop-daydreaming-about-them delicious. The toughest part is choosing which flavors to buy. 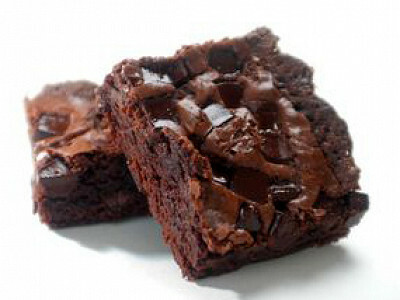 The fudgy best-selling Chocolate Chip Brownies? Espresso-infused Mocha Fudge Brownies? Or maybe the buttery sweet Cinnamon Blondies are calling your name? Emily’s cookies are irresistible, too: classic Oatmeal Raisin Cookies; chewy Gingersnaps packed with three kinds of ginger; Peanut Butter Cookies, dotted with chocolate chips; Vegan Granola Cookies with chocolate, oats, dried fruit, and nuts; and Gluten-Free Chocolate Cookies, made with coconut flour and loaded with coconut, pecans and chocolate chunks.